Welcome to MedVet Chicago, formerly Chicago Veterinary Emergency & Specialty Center. With over 35 years of experience, our hospital is home to the most advanced 24-hour emergency and critical care services within the greater Chicagoland area. Additionally, we offer a full array of exceptional specialty services that serve as an extension of your family veterinarian’s practice. MedVet Chicago is certified by the Veterinary Emergency and Critical Care Society (VECCS) as a Level 1 Emergency Facility. This means that our emergency room has met and exceeded the standards of care published by VECCS, and is fully-equipped with the resources and specialty training necessary to provide sophisticated emergency care to critical patients. Our talented emergency team of critical care specialists, experienced emergency doctors, and compassionate nursing staff are available for emergency care 24 hours a day, 365 days a year. In addition to emergency services, our hospital offers specialty services by referral in 13 different specialties. MedVet Chicago’s board-certified specialists have extensive post-graduate training in their fields, and like our emergency veterinarians and staff, regularly participate in ongoing education to stay up-to-date on the latest techniques and treatments. In fact, our specialists often teach the classes! In addition to MedVet Chicago’s Main Campus, we also offer a full-service Cancer & Rehabilitation Center, which is home to an entirely integrated team of oncology experts providing surgical, medical, and radiation treatment options, as well as a full physical rehabilitation team. 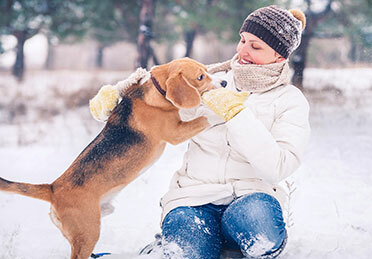 At MedVet Chicago we recognize that pets are an important part of your family and we strive to provide the most advanced medical and surgical care while showing the utmost compassion for you and your pet. Our goal is to work collaboratively with you and your referring veterinarian to provide the specialized care needed to get your pet back home with you as quickly as possible.